Profile: Aerial surveys, Aerial image interpretation, Thematic mapping, Land cover maps, Digitization, Research and Sensor development. Our Company primarily collects information of scientific value for environmental protection, urban planning and landscape ecological projects. 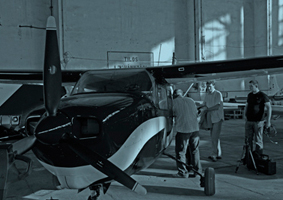 We also deal with camera system construction for high spatial resolution aerial mapping. In our laboratories we synchronize and calibrate photogrammetric equipments. The cost-effective aerial mapping with more and more surface details is become possible with the using of these innovative equipments, in printing scale from M=1:100 to M=1:12 000. We are pleased that the sub-centimeter spatial resolution – which is a breakthrough in aerial mapping and interpretation – had been reached by aircraft firstly by our Hungarian research group, and so we can provide to our customers. The increasingly obtainable information-content can be used in many sectors. 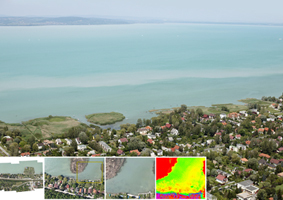 Beside the change monitoring, finding the illegal constructions and landfills and surveying the vegetation, these multispectral ortho image maps are effective to detect the invasive plant species, in inland water mapping, to make precision agriculture maps and, in addition, to a number of scientific research. Now our high spatial resolution multispectral process can be used simultaneously with the hyperspectral imagers of more than 400 bands. It is essential for municipal and economical decision making to have an updated spatial database and geographic information system (GIS). This may contain a single RGB aerial ortho image mosaic or even a complex multi-layer system of thematic maps. We offer full-service GIS from data collection to synchronization of thematic map-layers or other data derived from different analyses. The INTERSPECT sensors are specific measurement equipments adapted to user needs. The company's offerings include NDVI and other vegetation mapping cameras, multispectral microscopes, extreme fast and high spatial resolution imagers and absolutely unmanned aerial platforms. The Interspect Ltd's legal predecessor worked as a remote sensing department called the ARGOS Studio. The Studio has a long history; it was established in Pécs in 1962, and it conducted the high spatial resolution municipal surveys and the environmental and water management aerial remote sensing projects in Hungary. Between 1976 and 2008 the ARGOS Studio performed the high spatial resolution aerial photo mosaic production of Hungarian cities. 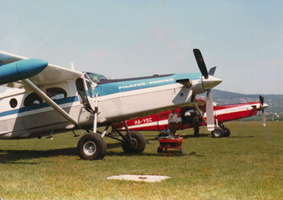 They have also made flood and inland water mapping and forest surveys with their "Water Management Air Service" aircrafts (Super Aero, until 1971; L-200-D Morava, between1962 and1982; Pilatus Turbo Porter, between 1981 and 2000; Cessna Tu 206 E and Cessna 182, between 2002 and 2008). The Studio has become a department of the Hungarian Environmental and Water Resources Institute. After the elimination of the Institute, some members established the Interspect Remote Sensing and Nature Conservation Ltd. 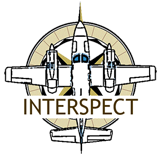 The Interspect’s team of young researchers and engineers has established an association in 2004. As the members were mostly from the circles of prominent Hungarian institutions like the Hungarian Environmental and Water Resources Institute, the Szent István University and the Eötvös Loránd University, they could serve the land-based environment protection with audiovisual activities, aerial remote sensing, and later monitoring and environmental survey. The members have up to date knowledge in environmental engineering, water and forestry management, urban organization and disaster prevention tasks each of which require precise spatial information. Name of the Company: Interspect Kft. Address for correspondence: H-2314 Halásztelek, II. Rákóczi Ferenc út 42.